Random selection by lot replaces human agency with chance (the modern view) or supernatural agency (the view of Italian city-states and ancient Athens). It can help democracy be just, clean, and efficient. So use it mindfully to thwart corruption, to produce legitimate deliberative cross-sections of a population, and to fairly distribute social goods or burdens. What role might random selection play in this situation to improve matters – say, to thwart corruption, to create a microcosm, or to fairly distribute some social good or burden? 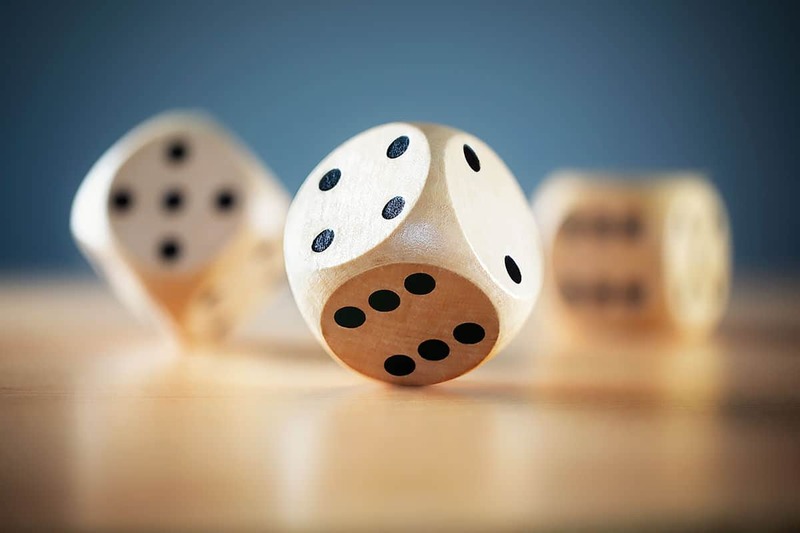 Given our circumstances and purpose, what would be the best way to actually carry out a random selection? Where has sortition been used successfully – and where have there been problems or resistance? Are there lessons there to guide us in trying to institutionalize it in some way in our democratic activities? Random selection is perhaps most famous for its use in lotteries. “Sortition” is that same process applied to politics or the collective affairs of a society rather than lotteries where you have bought a ticket and are waiting to see if you’ll get rich. One of the most potent things about random selection in politics is that nobody is in charge of who gets picked. And if it is done correctly it gets in the way of anybody trying to manipulate the political system. So if it is truly random selection nobody knows what is going to happen or what is going to show up as a result of the random selection. So if you have a system that is working really well for you, by elections or whatever, then you really don’t have to worry about it. But if you have a system that is filled with corruption, random selection offers a very powerful lever to shift it. Just for example, imagine if we could choose a legislature by a random selection of people in the society or a random selection of everybody who has volunteered. For example, anyone might be added to a volunteer pool by saying, “If I’m chosen I would love to serve“. Or we could set certain qualifications to be in the pool. Of course each person is part of a pool which has, say, 4 million other people in it. And let’s say we choose 400 of them to be in our legislature for a year. If we set it up right, the chances of somebody being able to manipulate that legislature are really small. Of course we’d have to set it up right. For example, we can say “If you manipulate this, we’re going to penalize you. If we find out that you offered people $100,000 to vote in favor of your corporation, then we will close down your corporation and put you in jail” or something like that. Even now, there are serious penalties for people who meddle with trial juries or for certain kinds of corruption. So there would need to be laws to penalize efforts to manipulate or corrupt randomly selected legislators, too. Maybe we don’t want a randomly selected legislature. There are many other ways to use sortition. The point is that the principle of random selection itself gets in the way of manipulation and corruption and it also can help produce legitimate deliberative cross-sections of the population. So if you want to have a group of ten or a hundred people who are going to discuss some public issue and report back to the population at large or to certain decision-makers or to the media, random selection is a great way to pick people for that group. You may want to have the benefits of high quality deliberative conversations and information, but you can’t expect that from millions of people and you can’t afford to support millions of people to do it well. You can however get that from tens or hundreds of people and you can support a group of that size. So how do you pick those people well? One way to do it is with random selection and that will, if it is done well, give you something close to the kind of diversity you have in your population. That diversity will be present in your microcosm, your smaller group. Public opinion surveys are based on this principle. Random selection can also fairly distribute desirable opportunities or burdens. One of the classic examples of using random selection to distribute something usually seen as undesirable in the United States was the military draft. Back in the 60s and 70s, every guy had to register for the draft. Then from everybody who had registered, the draft boards picked people in a sort of lottery by picking birthdays randomly to decide the order in which people would be drafted. It was scary but it was fairer than having some system where somebody can buy their way out of it. At least in theory, they didn’t target certain kinds of people, like students or people who don’t have money or people who don’t have the capacity to fill out 200 forms. It was promoted as a more or less fair process where everybody had a more or less equal chance of getting picked. In 2011 I was doing research for my book EMPOWERING PUBLIC WISDOM and I was surprised to discover that back in ancient Greece the vast majority of the government jobs, the bureaucratic positions, were chosen not by appointment, or by somebody who knew somebody, or by finding people with particular skills. Public officials were chosen by lot from a pool that included every adult citizen. Of course “citizens” in ancient Athens included only free male residents of Athens – no women or slaves or foreigners. But by the end of their lives almost all these citizens would have performed at least one or two actual government functions – they would have fixed the roads or made decisions about some kind of policy or whatever. This was really “government by the people” and they wanted it that way. This was both desirable – i.e., to have some power – and also a burden – i.e., to have to work on behalf of the public instead of yourself. But both the powers and the burdens were fairly distributed, with everybody sensing that everybody was participating in a fair system. This is very strong for the Greeks. They thought elections favored elites who had good name recognition and who were wealthy and could buy publicity. The ordinary guy didn’t have a chance to be elected. But everyone had a chance to be chosen by lot. In some societies there’s not enough university places for everyone to get a university education. But if you’ve done your qualifying exams, then the next step is to randomly select people who want to go to the university. Ideally everybody would be able to get such opportunities. But if they are scarce, then the random selection -choosing by lot – is a way to distribute the scarce opportunities fairly. We think of random selection as just a matter of chance: the universe has this element of randomness, so when you mix these names in a bucket and pick one out, it is just chance that caused you to pick THAT one. The ancient Greeks had a different view of it. They thought, “There’s a larger wisdom than human wisdom at work in the world and the lottery is a way to acknowledge that and use it. We are going to be picking leaders but the gods are going to help us decide who should lead us. So we are using the lottery to keep us fallible people out of it and have the gods make the decision. After all, who are we to question the gods?“ This way of thinking about it gave the whole tradition of sortition a different feeling. It was not a mechanistic event, but a sacred one, with some awe and responsibility attached to it. I am divided on how to look at it. I don’t think of gods as personalities that make those decisions, yet some people do. Nevertheless, there are many ways to sense that there are larger forces at work that you could trust to shape this random selection process other than just mechanistic chance. But in the end it doesn’t really matter what religious or philosophical perspectives we have about it. The main feature is to remove human choice and will from the selection process. In some Renaissance Italian city states they did random selections for people who would then vote for people who are going to do the next random selection. They had layers and layers of voting and random selection going on and even had kids pick the people’s names out the hat to make sure the adults didn’t mess with the process. One of the important questions in random selection is who is included the pool from which you are doing the random selection. It was easy to include every citizen in a relatively small territory like ancient Athens. And in the Renaissance Italian city states like Florence the pool included only elite families, businessmen, and guild members. Nowadays there’s lots of sophistication about what random selection means and expertise about how to do it. But in our modern societies it is also virtually impossible to do a totally pure random selection. They used to just use random phone numbers, but you can’t do that anymore, because so many people have cell phones and aren’t listed. Using voter rolls is often defensible for democratic purposes, since those include all kinds of responsible citizens. But voter rolls don’t include everyone. Furthermore, in some places the voter rolls are not electronic which makes it very laborious to use them for random selection. But where they are electronic, you can just buy a CD with all the registered voters in your district for $30 or something like that and then do a random selection using a random number generator from the web. I know of at least one initiative that was done that way. But once you have your randomly selected people, you have to contact them. These are people who don’t know who you are, they may be suspicious that you are selling something, or they simply don’t want to participate. Other people who may want to participate are really biased. Or someone is afraid they’ll lose their job or have some other life problem if they participate. In other words, once you do your random selection, the people selected may start selecting themselves out and you don’t necessarily know how that is skewing your sample. The ability to do true random selection is like doing real majoritarian voting in the U.S. In the U.S. the vast majority of people who are elected were not elected by an actual majority of the citizens. Not all citizens who are eligible to vote are registered to vote, some are prevented from voting, and some who are registered don’t even show up to vote. So candidates may end up being elected by only 20% to 25% of the adult population… but that’s a majority of those who DID vote, so the majoritarian principle is still more or less at work. Similarly for sortition, there may be difficulty in getting a pure random selection, but basically if you’re trying to get a cross-section, you can do a big randomly selected pool and then search for people in that pool who fit certain kinds of demographics or otherwise make it as fair and representative as possible with whatever resources you have available. Of course if you’re just trying to interfere with corruption and not needing to get a valid cross-section of the community, then just having the final decision being made with a lottery of almost any sort achieves that purpose. So there’s various ways to work with this concept. It isn’t just one process for all purposes; there are ways to apply it to different circumstances. There’s a whole field here that we can study and get more sophisticated about. For me the most important two things to understand about random selection in a wise democracy are that it can help thwart corruption and that it can create decent cross-sections of a community or country for use in citizen deliberation processes.